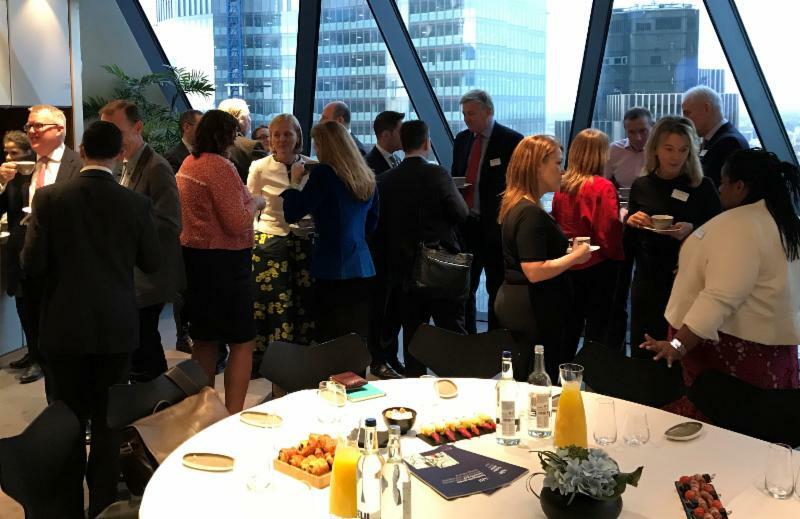 On 18th January we hosted a breakfast briefing chaired by Amanda Blanc, Chair of the ABI and CEO EMEA at Zurich Insurance focusing on gender diversity in the Insurance industry. We had a full house of guests from across the industry, evidencing the importance of this issue. The event followed the publication of the ABI report Tackling the gender seniority gap: what works for the insurance and long-term savings industry. Our aim was to share experiences, and provide attendees with clear examples of working strategies. As a mother, Amanda has a professional and personal interest in D&I; when she became the ABI Chair, she decided to make this one of her priorities. “We need to take an honesty pill on some of this stuff. There comes a point at which you realise that if we don’t start talking about it, what is going to change? That’s why we commissioned this report,” she said. Unconscious bias results in mothers being regarded as less competent and less committed. In contrast, there is actually a bonus for being a father! Creating an environment that enables women returning from maternity leave to continue to operate and progress at a senior level by offering flexibility, part-time and job share opportunities is essential if we are address the issue. Various attendees confirmed these are things that are now happening in their business. “These are things that need to be encouraged. They need to be implemented, they need to stop being talked about, and they need to actually happen,” said Amanda. Key to the success of these policies though was intervention and senior role models. This support from the Board and ExCo was something that had worked well in Kier, with either the CEO or Claudio intervening in recruitment processes where there was insufficient gender diversity. In conclusion, Amanda said, “We have to address this problem as urgently as we would any other issue in our business where we’d say there was a burning platform”. If you would like to find out more about how we can help you with your D&I challenges, or perhaps to discuss a specific assignment, please do not hesitate to contact David Cooper, Director & Head of Practice, Insurance, on +44 (0) 207 484 0000 or via david.cooper@normanbroadbentsolutions.com for an initial confidential discussion.